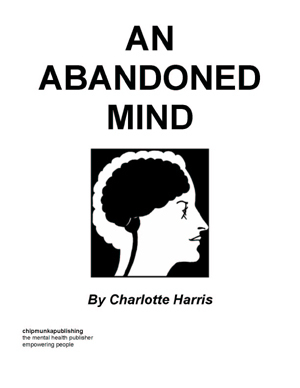 This book is original in terms of its format and its content. 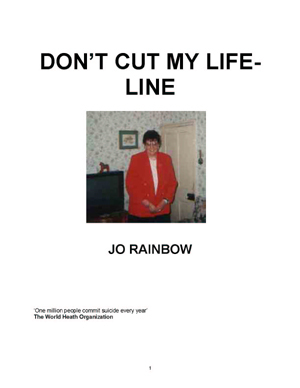 In writing this book James Palmer gives a true reflection of what it is like to suffer with severe OCD. Much of this autobiographical story is told through email conversations between James and a friend working as a missionary in India. While James details his battle against OCD to his friend; his friend in turn discusses the rollercoaster of his experiences in India. 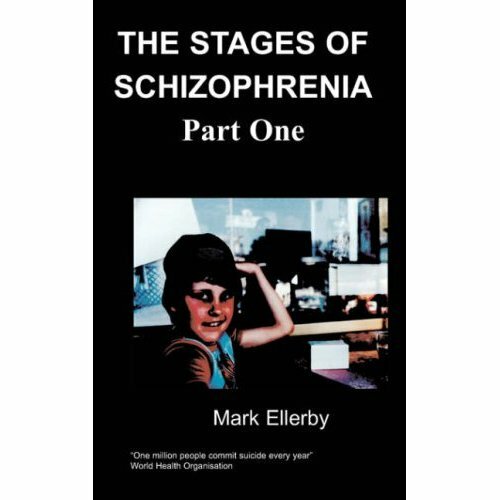 This is an intensely emotional and inspiring book which provides a positive message about OCD, providing hope for fellow sufferers. 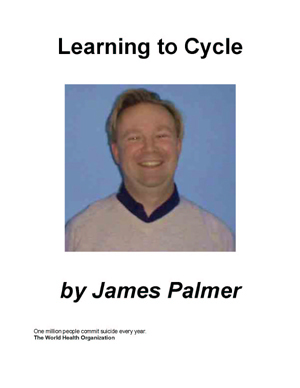 James Palmer is a primary school teacher who has nearly completely recovered from his OCD. 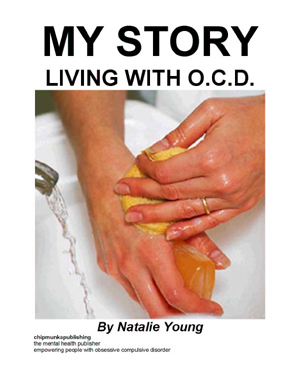 He has a keen interest in mental illness and aims to create more awareness of OCD. Hello again. How’s it all going? Been to any more spooky, dodgy shrines recently? It only sounded like one of your charismatic meetings to me. Where was that one about the Holy Spirit that was held in a room filled with idols from North America? The Spring Harvest Christian festival at Butlins, wasn’t it? Surely the differences are only cosmetic? Only kidding. But as you may have gathered I’m feeling considerably chirpier than last time I wrote. 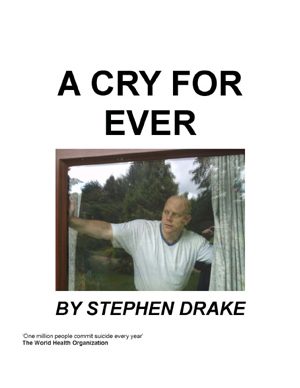 Actually, I have just read through what I wrote then and I feel even worse about being miserable now. I’m sure you can do without that kind of depressing whine. So, again, I’m very sorry. Anyway, whatever it is, my mood seems to have picked up in the last couple of weeks. In fact the big news is I have a new project. I have started having painting lessons again at the Adult Education Centre in Dover. The class is halfway through a term, but they have graciously allowed me to join in. Dr Ramsay and I agreed that it would be good for me to have something new to focus on, something to occupy my mind. I’m in an intermediate watercolour group, which seems to suit me right now. You might think all this is rather odd. I mean, won’t he be constantly checking the brush is clean and that everything is exactly as it should be? Well, so far, no. I am anxious that no one in the group should know I am ill and that incentive actually helps me to put on a bit of a performance. It feels good usually to be amongst normal people, doing normal things and being accepted as one of them. Unless they’ve completely worked me out and mutter surreptitiously about that crazy obsessive guy who ought to be in an institution. We do pencil sketches of, you know, still lifes or landscapes, and then work on the layers of colour. At the moment this seems to be a good idea. There is no exam, no assessment, but I have something to do one afternoon a week and then practise at home when I need my mind occupying. On my mood, I think the E.R.P. is starting to have an effect. It’s tough, but I’m down to one check only now on taps, the cooker and locks. My shoes are still winding me up, but we’ll come to that. I have a hierarchy of problems that I am working through, starting with the less daunting ones. I think success improves my mood and motivates me to tackle something else. It becomes a kind of challenge. I hope this positive attitude continues. Also, the Prozac could be helping. It’s supposed to take a few weeks to kick in. I decided to have a try of antidepressants because everything I read suggested it and also, to be honest, I felt like I’d try almost anything by then. I’ve learnt something more too about the cognitive side of all this – the way I should be addressing my thinking patterns. Do you remember my mentioning Sisyphus not long ago? In the story he has to repeatedly push a rock up a hill. He has to make a great effort all the time. I am learning that recovery from O.C.D. is almost the exact opposite of this process. Keep pushing and you will find that you have to push even more tomorrow. It’s as if the rock gets heavier day-by-day, so more and more effort is required. Or, alternatively, if you scratch a spot, there is momentary relief, but it will itch even more in a few minutes. It will become more and more difficult to ignore. This, it seems, is the counter intuitive solution to O.C.D. This is the paradox, which is just beginning to dawn on me; the more you push, the heavier the rock will be. The more you scratch the more the spot will itch. This is the paradox: only by stopping the struggle will the obstacle disappear. Only if you accept the recurring thoughts in your mind will your brain cease to spark and scratch. Acceptance, Dr. Ramsay says, is the answer. If an unwanted thought comes, I shouldn’t fight it or try to do what it wants. It is only a thought. The moment you resist is the moment you begin to empower the thought. I have to pay it no attention and thereby give it no power. It may stay, I may feel that the door is not properly locked, but the thought will go – eventually and it may return, but less and less regularly. Think of this instruction: ‘Don’t think of a green boat’. If you try to do this, you will think of a green boat because you are resisting. The green boat will soon disappear if you pay it no attention. Blimey, I went on there for a bit. Sorry about that, but actually it helps me to put some of this into words. This is what Dr Ramsay has been trying to tell me in the last three meetings or so. It explains why it is getting easier to get dressed and lock doors. Because I am still having the troubling thoughts, but now I am saying, ‘I know that is an O.C.D. thought and I am going to get on regardless’. It does work. My mum says she can see a change too, and she has a new project of her own. She has decided to embark on Weight Watchers. You’ll love this. It’s just like she’s joined a new cult. She goes along to weekly meetings where they assess her performance over the previous week. Has she sinned? Then they give her the tract of the week (which usually contains a few recipes) and if she wants, she can stay for a meeting at the end. At one of these meetings all the other options (diets) on the market were slagged off and the adherents reassured they were all on the right path. Everyone leaves feeling re-invigorated in their commitment to the cause and she comes home and tells me all about it. I hesitate to say this, because of whom I’m speaking to, but it reminds me of the Christian Union at University. Anyway, if she succeeds in losing weight, we will all be praising the great and mighty god of slimming. Good to hear you have a close working partner for this rally. Is it going to last for several days? I liked your O.C.D. ‘definition’. C.M.S., eh? How about ‘Curry from Monday to Sunday’? The other good news is that Nathan and Amanda are getting married next August. It’s a shame you’ll still be away, but I’m sure you’ll be treated to plenty of photos and maybe even some cake. The fighting in Afghanistan seems to be going well, too. But I can’t help worrying about whether the warlords will be just as scary rulers as the Taliban in the coming weeks and months. Well, that’s just about all this week’s news, I think. Thanks for your email. It’s a while since we communicated, isn’t it? I was actually very interested to read about the theory of O.C.D. You certainly seem to have a good grasp of what is going on. The idea of ignoring thoughts sounds a bit tricky, but you sound as though you are making progress with that. I also liked the analogy with scratching spots. That really makes sense – the more you aim for short-term relief, the worse things are in the long term. It doesn’t make it easy though, especially without the help of calamine lotion! So, you are painting again? I look forward to seeing the fruits of your labours on my return. If I were going to paint this city, I would need bright colours – for saris and shop signs and advertising boards and cows’ horns. I would also need a sandy coloured wash to wipe across a lot of what I had painted; there is a pervasive dust in Madurai. The sounds and the smells would probably not be easy to convey. Maybe I would have to make a video installation, and then I could catch the shouts of salesmen, the relentless hoots of the traffic, the film music hollering out of the music shops and the rickshaw drivers wanting to take me away. How are you doing with the Prozac? I think you probably made the right decision to take it if that was everyone’s advice. Have any of your fears, about changing your personality, been realised? I don’t have much experience of antidepressants. By the way, I have posted you a Christmas card. I know it is still November, but judging by how long your postcard took, I think this may be sensible. I look forward to hearing when you receive it! Your mum should come here to lose weight. Since I arrived the weight has been falling off me. I think I am probably eating less because of the heat and the temperature in itself makes you lose fluid, too. I was not too sure about your analogy between Weight Watchers and Christian Union. Last week, I went into the countryside. Most of the churches Rev. Thanaraj is responsible for are rural and he wanted me to see some of the work going on in one of the villages. When we arrived the children rushed up to greet us. In fact, they followed us everywhere we went if they were able, full of laughter. There were two projects on the go in the village. One was a church being built from scratch and the other was the digging of a well. The church was well under way. The walls were made from clay bricks and the roof supports were being fixed into place. The villagers and Rev. Thanaraj were very proud of what was being achieved here and I must say that my first feelings were very similar – it was very exciting to see God’s work in such a remote part of India. Even here buildings were going up to the glory of God. Then, though, they showed me the well. Really all they had done so far was mark out where it was going to be. I was told, with great satisfaction, that the well was not embarked upon until the money for the church was completely raised. This was the part that struck me. This was a poor village. The children ran around in little more than rags and the adults were thin and probably undernourished. Why did they need a well? Because, apparently, at the moment they have to walk a mile for water every day.